A slightly spicy, very flavorful spread for simple little crackers, a dip for vegetables, this is a perfect do-ahead appetizer that cooks and feels like spring. Because it uses frozen peas, one of the few frozen items I ever buy, the color and taste remain perfect, even when made three days in advance of your event. I tinkered with a recipe from Food & Wine, credited to Grace Parisi. Thaw the peas before starting the recipe (it may take an hour or so). Heat the oil in a large skillet, add the scallions, ginger and jalapeno and cook over medium-low heat, stirring, until the mixture becomes fragrant, about 1 minute. Add the peas and cook, stirring occasionally, until tender, about three minutes. Do not overcook. 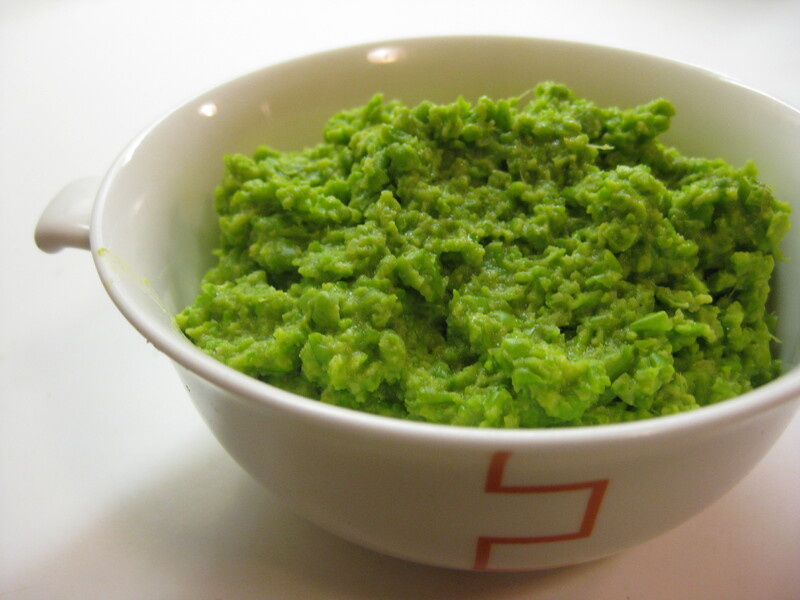 Remove the pea mixture to the bowl of a food processor and let cool slightly. Add the miso and water and puree until smooth. Refrigerate the spread for up to three days. Serve slightly cool or at room temperature with crackers, flatbreads or crudités.